Blog Holiday Break Skating & Swimming with your Kids! 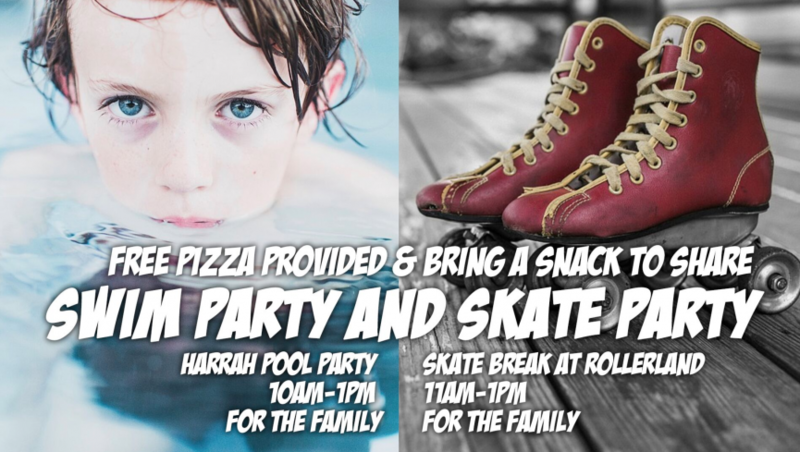 Holiday Break Skating & Swimming with your Kids! Free Harrah Pool Party! – Wednesday, December 21st at 10am-1pm. For Families of all ages. Pizza will be provided. Bring a snack to share. Free Skate Break at Rollerland – Wednesday, December 28th, 11am -1pm. For Families of all ages. Pizza will be provided. Bring a snack to share.